Dr. Cobbs is currently the Director of the Ben and Catherine Ivy Center for Advanced Brain Tumor Treatment at Swedish Neuroscience Institute (SNI) in Seattle. He is an international expert in brain tumor surgery and molecular biology. Dr. Cobbs received his clinical training at UCSF in 1997. From 1997-2005 he was Chief or Neurosurgery at the Birmingham VAMC and faculty at UAB from 1997-2005. From 2005-2013, he practiced neurosurgery at California Pacific Medical Center (CPMC), and ran a brain tumor research lab at CPMC Research Institute and UCSF in San Francisco. In 2013 he moved to his current position in Seattle, where he oversees the largest brain tumor clinical and research program in the Pacific Northwest at SNI, where they treat over 1000 patients with gliomas, PCNSL, meningioma, pituitary and metastatic tumors per year. As director of the Ivy Research Center, he supervises a laboratory with over 6 grant-funded brain tumor research projects. Dr. Cobbs’ own research investigates the potential role of cytomegaloviru in glioma pathogenesis and therapy. Dr. Cobbs enjoys triathlons, rowing , skiing, and relaxing with his family. Dr. Anna Berry is the Deputy Director for Molecular Pathology and Genomics at the Swedish Cancer Institute, where she also serves as the Scientific Director of the Personalized Medicine Program. She is a graduate of the University of Nebraska Medical Center, and completed her post-graduate training at SUNY Upstate Medical University, the Medical College of Virginia, and the National Cancer Institute. Dr. Berry is Board Certified in Molecular Genetic Pathology, Cytopathology, Anatomic Pathology and Clinical Pathology, and served previously as the Director of Molecular Pathology and the Director of the Molecular Genetic Pathology fellowship training program at UCSF. Her clinical focus is making genomic technologies accessible to patients, and integrating genomic data into patient care. 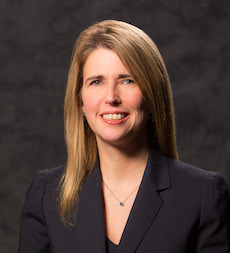 She serves on several national committees, including the Personalized Healthcare Committee of the College of American Pathologists, and participates in several national genomics task forces. Edward Laws, Jr., MD, FACS, received his bachelor’s degree from Princeton University with honors in Economics and Sociology in the Special Program in American Civilization, and then attended the Johns Hopkins University School of Medicine in Baltimore, Maryland. He did his surgical internship and neurosurgical residency at Johns Hopkins. After completing his residency, he joined the faculty at the Johns Hopkins Medical School. In 1972, he moved to the Mayo Clinic in Rochester, Minnesota where he became Professor of Neurosurgery and developed major interests in Brain tumor treatment and research. In 1987 he became Professor and Chairman of the Department of Neurosurgery at the George Washington University in Washington, DC, and in 1992 joined the faculty of the University of Virginia as Professor of Neurosurgery and Professor of Medicine. Subsequently, he was Professor of Neurosurgery at Stanford University, and in 2008 established the Pituitary/Neuroendocrine Center at the Brigham and Women’s Hospital in Boston where he currently is Professor of Neurosurgery at Harvard Medical School. During his surgical career he has operated upon more than 8000 brain tumors. Dr. Laws has served as President of the World Federation of Neurosurgical Societies, President of the Congress of Neurological Surgeons, Editor of Neurosurgery, President of the American Association of Neurological Surgeons, and President of the Pituitary Society. He has been the fifth neurosurgeon to become President of the American College of Surgeons, and was elected to membership in the National Academy of Medicine. He remains actively involved in Brain and Pituitary tumor research and surgery. L. Burt Nabors, MD, received his M.D. degree from the University of Tennessee in Memphis in 1991 and interned at the National Naval Medical Center. He completed a residency in Neurology at UAB in 1998 and a fellowship in Neuro-oncology in 1999 under the direction of Dr. Steven S. Rosenfeld. He joined the Neuro-Oncology Program in 1999 as an Assistant Professor of Neurology and assumed the position of Program Leader in 2005. He is board-certified in Neurology and holds medical licensure in Alabama. Currently Dr. Nabors is Professor and Vice-Chair of Neurology for Research. 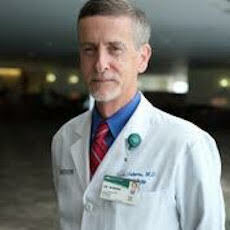 He serves as the Medical Director of the Clinical Research Unit of the Center for Clinical and Translational Science. He provides oversight and direction for space and nursing needs to complete early phase clinical investigations on the campus as a whole. In this capacity, he serves as a member of the Nascent Panel committee, which provides guidance, advice, and direction for junior faculty developing translational research careers. He maintains an active basic research effort examining the role of RNA-binding proteins in neurological disease, particularly in cancer. 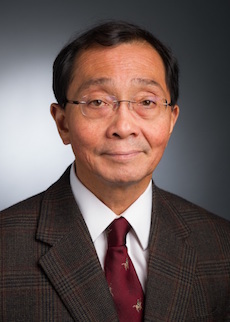 Dr. Wen is Professor of Neurology at Harvard Medical School, Director, Center For Neuro-Oncology, Dana-Farber Cancer Institute, former Editor-In-Chief of Neuro-Oncology and current President of the Society For Neuro-Oncology. 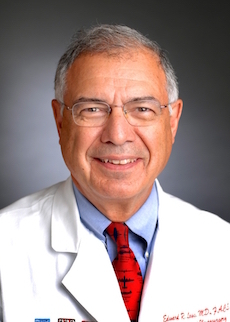 Michael Prados, MD, is the Charles B. Wilson Professor of Neurosurgery and Professor of Pediatrics at the University of California, San Francisco (UCSF). 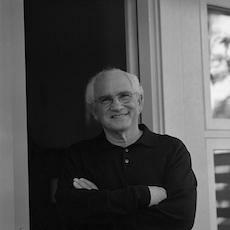 He has been involved in clinical and translational research in early phase clinical trials for both children and adults with CNS malignancies at UCSF since 1985. Previously, he served as Project Leader of the North American Brain Tumor Consortium and co-Project Leader of the Adult Brain Tumor Consortium, two NCI supported adult multi-institutional clinical trials groups. He was UCSF Member Institution Principal Investigator for the Pediatric Brain Tumor Consortium; Project Leader of the Ivy Foundation Early Phase Clinical Trials Consortium; Program Leader for the Neurological Oncology Program for the Helen Diller Comprehensive Cancer Center and Director of Translational Research in Neuro-Oncology. 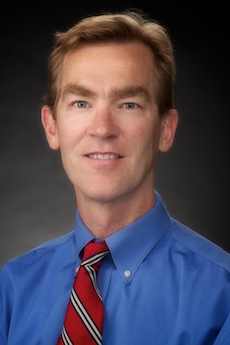 Currently, he serves as co-Project Leader for the Pacific Pediatric Neuro-Oncology Consortium (18 member institutions).